The accelerated development of technology in the last few years has created many new opportunities to improve the independence and quality of life of people with disabilities, facilitating participation and integration in society and in their communities. We have seen the power technology has to change the lives of individuals with disabilities, and that knowledge together with Beit Issie Shapiro’s model for innovation, inspired us to create the Technology Center. The center specializes in the use of technology for people with disabilities and provides consultation and training for professionals, and educational and therapeutic institutions. We also provide consultation and guidance to entrepreneurs and startups interested in developing for this market or interested in making their current product more accessible to a wider market of users, including people with disabilities and the elderly. The center is staffed by a multidisciplinary team made up of occupational therapists, speech and language pathologists, educators, tech professionals, and more. 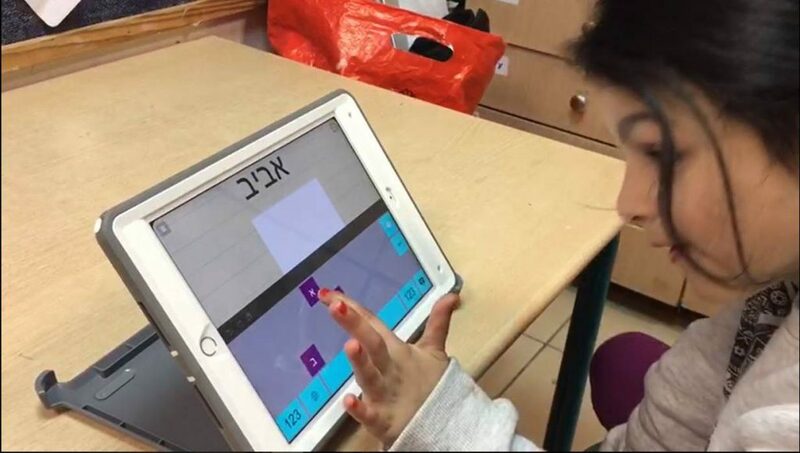 Our team has extensive experience implementing assistive technology in the day programs at Beit Issie Shapiro, and in integrating and implementing technologies in a variety of settings – including educational, therapeutic, residential, and more, matching the needs and goals of the person and/or the institution. In addition, the Technology Center acts as a hub for promoting entrepreneurship and innovation in the area of assistive technology (low-tech and high-tech)and provides consultation and professional guidance to entrepreneurs and developers in the field. The Technology Center staff work bring technological solutions to needs that arise through their direct work with clients in the field. They have contributed to new app development (IssieBoard, 2Talk), provide consultation and guidance to developers to improve app accessibility based on principles of universal and inclusive design (Step by Step), and guidance on the development of a variety of other products. As part of the center’s vision to promote the importance of assistive technology and to bring more relevant products to the market, we look for and create partnerships with technology companies such as Microsoft, Cisco, SAP, and Google. For example, we collaborated with Google and the startup Sesame Enable on the project “Hakol Barosh” – an extensive national project making the mobile world accessible to those with limited or no hand use. Together with PresenTense, Beit Issie Shapiror established A3i, the first and leading accelerator of its kind, promoting entrepreneurship and innovation in the area of technologies for people with disabilities. There have been 30 graduates, so far, over three accelerators, among them Sesame Enable, AbiliSense, PlayWork, and ListenApp.